With emissions of greenhouse gases (GHG) increasing, the only way out is to control and reduce such emissions from different sources. 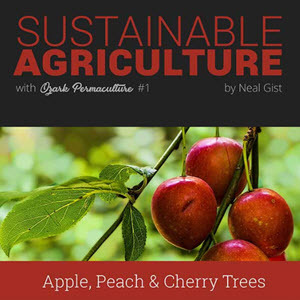 This chapter concentrates only on the aspects of agricultural land use resulting in emissions of greenhouse gases. It is only during the last few years that research in India has started focusing on the vulnerability and assessment of GHGs. Long term time series observations are not readily available and have to be estimated using different assessment methods. India's share of total world carbon emissions is 4%. This is relatively low compared to the 13% share of China and the 23% share of the US. Patterns of land use in India fased considerable changes during the past fifty years. Most of these changes took place during the period from 1950 to 1971. The changes involve the cropping pattern, diversion of land to non-agricultural uses, changes in the ownership of land and the influence of land reform measures like consolidation of holdings. Large tracts of fertile land have been diverted to urban needs. Since 1970, the net sown area remained more or less stagnant at 125 million ha. More than half of the country's total geographical area is suffering from degradation. More importantly, the extent of degradation is not only increasing over time but also growing at an increasing rate. Land degradation takes place largely in the form of soil erosion from water. In India, with growing population, there is relentless pressure to convert forest lands for agriculture. Several factors increasing considerably, including cattle grazing, collection of fuel and fodder, industrial use of land, irrigation projects, housing and urban development. Up-to the late 1970s, forestland was a prime target for diversion for resettlement, agriculture and industrialization, and this trend was contained only by the Forest (Conservation) Act of 1980. Until 1980, India's forest cover was being lost at the rate of 144,000 ha a year. The average annual costs of this degradation have been estimated to be about 3.5% to 4.9% of the GDP (Table 8.10). Harasawa et al. (2002) state that the productivity of agricultural land will be greatly influenced by future environmental changes. For example, climate-induced changes are expected to have profound impacts on potential crop yields and influence the distribution of cropping patterns in the Asia-Pacific area. GTAP (Global Trade Analysis Project) was used by Harasawa et al. (2002) to assess the impact of climate change on the economy through changes in crop productivity within each region examining changes in producer prices, agricultural production and social welfare. Comparing the changes in social welfare per capita, India was the country likely to suffer the most damage as the model reflected a significant decline in the productivity of wheat in India and the comparatively large share of agricultural products purchased using private funds. Source: Parikh and Parikh (2001). The main direct effects on agriculture in India in next 25-30 years will be through changes in factors such as temperature, precipitation, length of growing season, and timing of extreme or critical threshold events relative to crop development, as well as through changes in atmospheric CO2 concentration (which may have a beneficial effect on the growth of many crop types). According to Shukla et al. (2003) the indirect effects will include potentially detrimental changes in diseases, pests and weeds, the effects of which have not yet been quantified in most available studies. In the tropics where some crops are near their maximum temperature tolerance and where dry land, non-irrigated agriculture predominates, yields are likely to decrease. In the GHG emission estimations in the Asia Least-cost Greenhouse Gas Abatement Strategy (ALGAS) project undertaken by the Asian Development Bank, the CH4 emissions from the agricultural sector were 12,654 Ggs while N2O, NOx and CO was 243; 109 and 3038 Ggs respectively. Total emissions were estimated at 1,001,352 Ggs of CO2 Equivalent. Of these estimated emissions from the agricultural sector were 341,064 Ggs. The total CO2-equivalent emissions from India were estimated to be 1,001,352 Gg, which were about 3% of the total global CO2-equivalent emissions. Based on this, the per capita CO2-equivalent emissions for 1990 were estimated to be 1.194 tonnes (325 kg C). The per capita emissions for Japan and USA were 2,400 and 5,400 kg C in 1990. The projections made in the ALGAS Report (ADB, 1998) for 2020 indicated that per capita emissions for India in 2020 would be in the range of 460-485 kg C, a mere one tenth of 1990 per capita emissions in the USA. Source: Asian Development Bank (1998). Projections of green house gas emissions from agricultural sector for the year 2020 have been done by the Tata Energy Research Institute (TERI) as well as the National Physical Laboratory (NPL) New-Delhi. Their findings are summarized in Table 8.12. The Planning Commission in India has devoted attention to mitigation of GHGs in the coming decades. Figures for projected air emissions, not exclusively of the agricultural sector are presented in Table 8.13. Present data for the GHGs emissions from the agricultural sector are still not very precise as the base data for livestock population as well as land use need a long time to collect. However, in the recent years the National Remote Sensing Agency has been conducting extensive surveys to help ascertain land cover and land use besides many other parameters. Satellite image based land use planning would provide more accurate results if long term satellite based land use statistics is readily available.